The contest themes are always loose – any interpretation is good. The theme is The Wilds – whatever you think fits. Do ANYTHING you want. I think you can stretch this beyond just lovely scenery – and if you do, rest assured your whackiness will not be unappreciated – let it loose. Especially fun: setting up a scene with people, animals, monsters, etc. acting out an idea or story. SL is full of lovely wild areas. A great resource for finding them is the –>Virtual Parks and Recreation Service website at: http://www.virtualparksandrec.com/ The registry contains placesyou might like to explore. You may make something like an animated texture or other cool thing if you want. You don’t have any tight limits. If you make something cool that doesn’t seem to fit the “textures” requirement just enter it anyway. Straight snaps or manipulated – it’s all good. Don’t send them in a notecard – I say this as I look at textures every day but I rarely look at notecards. If I don’t get your heads-up the entry gets buried under the billion spam notecards I get per week. I hate it when things get lost – the only entries to’ve been lost thus far were in notecards. Exhibition: 26 November – 15 December 2007 in the Photography Studio upstairs gallery. We will have an awards ceremony – time TBA. 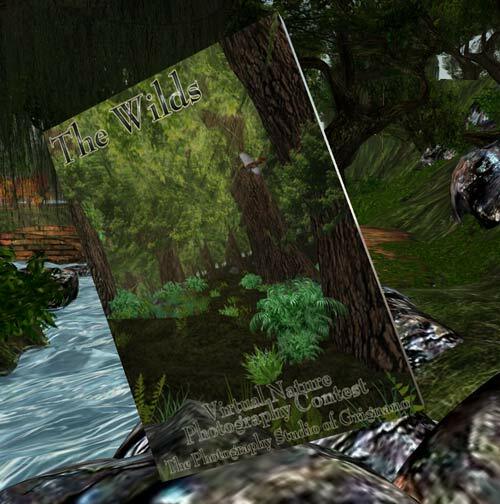 Higbee Protaganist, having worked alone for four years trying to encourage the creation of beautiful areas in Second Life for the refreshment of the human spirit, has lately been joined by a number of energetic nature-lovers. The former Second Life Parks and Recreation Service has blossomed into the Virtual Parks and Recreation Service – not limited, in other words, to any one version of virtual reality, but ready to embrace all worlds, here now or yet to be created.